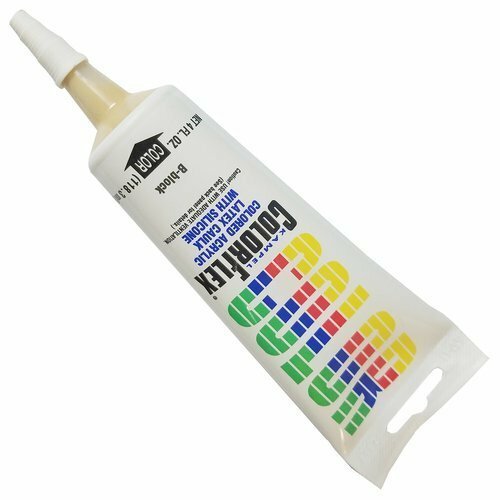 ColorFlex is designed for corner and perimeter caulking of decorative surfaces. After the component (counter, vanity, bath surround, etc.) is installed and the laminate seams have been filled with SeamFil, ColorFlex is used to seal the inside corners and perimeter of the component. "These reviews are from our customers who have purchased Kampel products." we use this product all the time when installing white melamine cabinets, counldn't do without it. Had my kitchen remodeled. The installers chipped my counter-top but the damage was under the lip of my sink so, I knew nothing about it until I needed to replace my sink and there it was. Big chips on both sides of the sink that my new sink would not cover. I purchased this product and it worked BEAUTIFULLY! You would not know there was a chip if I did not show you. Thanks for having this product! Does what it is made to do make seams flawless looking. The color is quite different from the chart. Can you tell me whether I can return them. They have not been opened. They are in original condition.